This software helps you to fill the holes of your address data sets. Sometimes you miss emails, phone or fax numbers. Now you can get them all filled by GSA Address Completion software. Even a homepage can be delivered. The results are very accurate and in case of multiple results you can either let the software decide what to use or you can chose from the found results by hand. Don't waste your time on manual research anymore. ...... gather the phone or e-mail to directly contact him or her. It also happens that you have wrong data in your database that you would like to clean up. Well now you can with our Address Completion software. Many settings like the search engine configuration or the use of filters help you to improve the address completion results. The program doesn't need any additional database unlike other software of it's kind. The search of the correct address data is all done over internet lookups by search engines which you can configure. Intuitive, powerful, multi-featured, small and extremely flexible address book. Qweas is providing links to GSA Address Completion 1.35 as a courtesy, and makes no representations regarding GSA Address Completion or any other applications or any information related thereto. Any questions, complaints or claims regarding this application GSA Address Completion 1.35 must be directed to the appropriate software vendor. 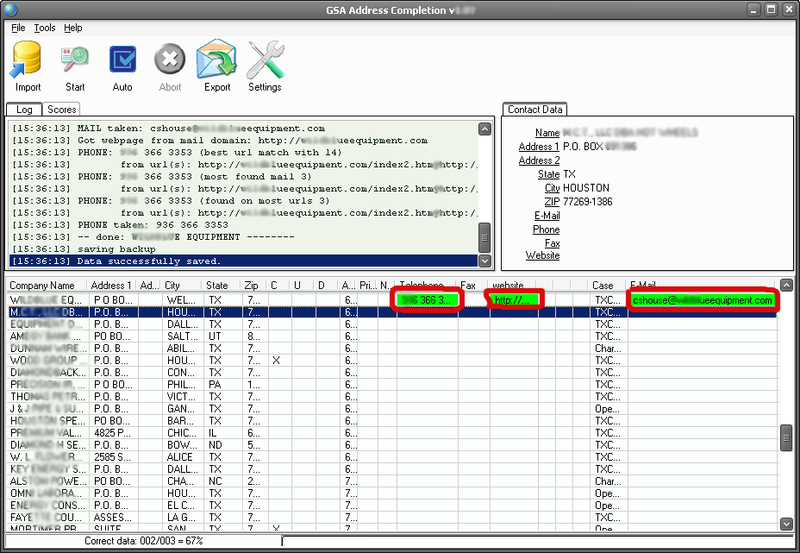 You may click the publisher link of GSA Address Completion on the top of this page to get more details about the vendor.